The Fragrant Harbour: Fancy a Jet or Two on Taobao? 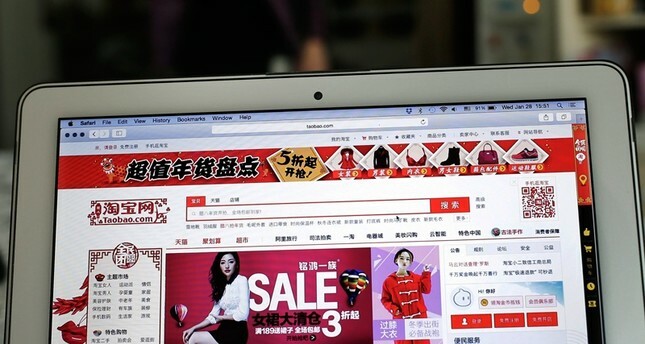 You can buy just about anything on Taobao, the Chinese online shopping site -- even an airplane -- or two. 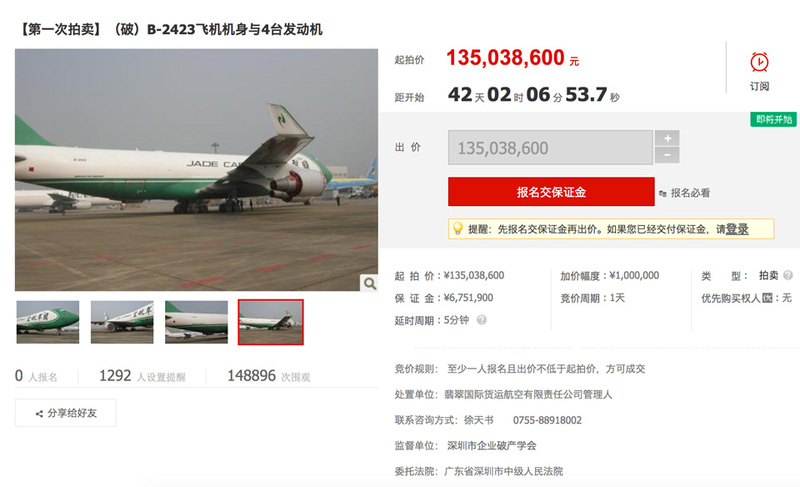 On Tuesday two Boeing 747-400 freighters were sold on Taobao for 332.8 million yuan (US$49 million), the first time in the world such planes have ever been sold in this online auction format. They were sold after six failed attempts to sell them in offline private auctions organized by the seller -- a state court -- in the past few years. China's largest private courier, SF Express confirmed it had bought the two jets from the Intermediate People's Court in Shenzhen, which seized them after Jade Cargo International filed for bankruptcy in 2013. Originally there were three Boeing 747-400s up for auction, but one was unsold (at 122.6 million yuan), which is parked at Shenzhen Baoan International Airport. 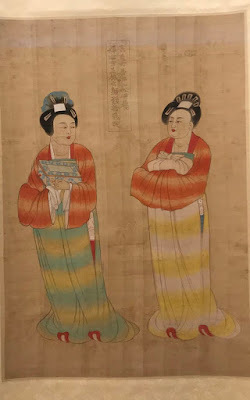 The other two are at Shanghai Pudong International Airport, with an opening bid of 133.8 million yuan and 135 million yuan. The final prices of the two planes were 160.8 million yuan and 162 million yuan, up 20 percent from the opening bids. Before the auction started, the bidders had to make security deposits of over 6 million yuan for each plane, and the winning bidder has to send the full payment within 15 days. The Shenzhen court has been trying to sell off the planes since 2015 for a total of 1.32 billion yuan, and in September it finally put them on Taobao at a much cheaper total price of 391 million yuan. Interesting to note that demand for Boeing 747s is dropping, with airlines phasing them out by the end of the year. But why not as a courier plane? SF Express said earlier this year that it would spend 2.7 billion yuan on buying planes and recruiting pilots.